copyright and trademark litigation; and preventative counseling. Our experience includes licensing and other contractual disputes; patent, copyright and trademark litigation; and preventative counseling. We are experienced in judicial and non-judicial dispute resolution mechanisms. We are skilled in litigating clients' claims, understanding their particular needs, and translating the language of technology into the language of the courts. In addition to legal experience we also have extensive background in engineering and science such as electrical and computer engineering. Understanding technology is an important factor in litigating patent cases, which gives us an edge on behalf of our clients. 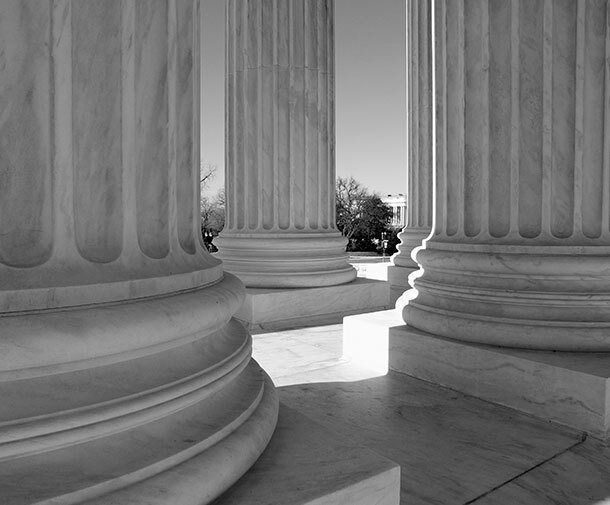 In the United States, the applicable laws that govern your patent litigation rights are the federal patent laws; and patent cases must be heard in the federal courts only. The federal court that serves Southern California, including Los Angeles, Orange, Riverside, San Bernardino, San Luis Obispo, Santa Barbara, and Ventura counties, is the United States District Court for the Central District of California. JPL has attorneys based in Southern California that have been admitted to practice before this federal court, and can represent you in your patent litigation matters. The patent laws govern how a patent is obtained, what a patent protects, and how one's patent rights are enforced. JLG has attorneys based in Orange County as well as the Los Angeles area that have been admitted to practice before the United States Patent and Trademark Office, and can help you to obtain a patent for your invention. Patent investigation is a complex process that requires vast understanding of design elements and technical information. Expertise in this area takes years to develop, but fortunately we have those years of experiences and will help investigate your patent claims. This may involved any number of different activities from contacting the party that is suspected of infringement, observing the products in action, and even detailed examination of evidentiary purchases. The bottom line is that there are many steps that must be taken in a proper patent investigation and we will carry out as many of these steps as are appropriate to your case with unrivaled professionalism. After we have investigated your patent and the infringing patents, we can offer a detailed analysis of exactly what your legal options are. Such analysis will include breakdowns of how feasible we think litigation will be, what you can realistically expect to gain from litigation, cost expenditures, the length of time that litigation is likely to last, and many other details that would be relevant to your case. Our analyses will help you to better understand how litigation should best be approached and we work tirelessly to ensure that our analyses remain thorough while still being clear and simple in explanation. After the analyses, if we have determined that litigation is a good option for you, we will begin the process of preparing you for the litigation. This is one of the most time consuming aspects of proper litigation and there are many instances where a good and thorough preparation has proven to be longer than the official litigation process. In order to prepare we will comb through correspondences that are relevant to the case, keep in constant communication with you, explain the full process of litigation (from deposition to mediation) in a way that will make it easier to understand, help you to understand what goals we are aiming for with this litigation, and prepare evidence for the trial alongside many other things. We will perform all of these expertly and keep you fully informed throughout the entirety of the process. Communication is one of the most important aspects of litigation. Constant communication needs to be maintained between the attorney and the client, between the attorney of the client and the attorney of other party in the litigation, between, the attorney and the court, and between attorneys within the law office to ensure that everyone is on the same page. Communication is a specialty here, we don’t just hand your case off to a small number of our attorneys. All of our attorneys will be invested in your case and be aware of the most important updates within the case even if you will only be in contact with a few of them. We will all work together to ensure that communications run efficiently to all involved parties because there is nothing worse than a firm that loses a case due to poor communication. In addition to helping you obtain a patent, the attorneys at Jafari Law Group also have the knowledge and experience to competently represent you in a patent litigation case. Whether you seek to enforce your rights under the patent laws, or someone has alleged that you have infringed their patent, we can help you to protect your interests. Since most patent litigation cases are very technical and involve industry jargon, a good patent attorney must have a strong technical educational background in order to understand the technology involved. JLG's Los Angeles patent attorneys have extensive backgrounds in engineering, science, and technology, giving them an in-depth understanding of the topics involved in patent law that allows them to excel in patent litigation. Furthermore, our attorneys have also been trained on how to explain the complex technical language of patents in a way that laymen can understand. After all, the courts and juries are typically not well versed in the technology at issue, and a proper explanation of the facts makes all the difference in the world to winning the case. At Jafari Patent Law, our attorneys have the requisite legal and technical knowledge, training, and experience, to competently represent you in your patent law matters.